빌뉴스, 리투아니아의 소두 호스텔 | 호스텔월드에서 예약하세요. As the Lithuanian capital, Vilnius has something for everyone with the very best of shopping, cafes, bars and clubs all within walking distance of our hostel. 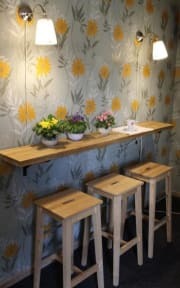 Our hostel is newly refurbished with bright and airy rooms for individuals and groups alike. At our hostel we strive to provide all of our guests with the very best accommodation at affordable prices. We offer our Guests free Wi-Fi connection, good breakfast and a welcome drink. We have a big kitchen with everything you may need, to prepare dinner or something more. There is also a free tea and coffee. 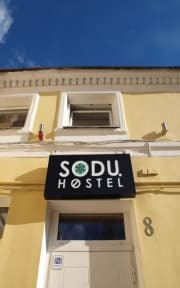 Sodu Hostel offers accommodations in Vilnius, just 0.6 km from Bastion of the Vilnius Defensive Wall. Free private parking is available on site. Gediminas' Tower is one kilometer from Sodu Hostel, and Lithuanian National Opera and Ballet Theatre is 1.8 km away. Vilnius Airport is 3.1 km from the property. Vilnius Old Town is a great choice for travelers interested in churches, history and architecture. We provide our guests simple single, double, family and shared rooms. All of the rooms are with shared bathrooms (not in the room) some of the rooms have TV. We have a shared kitchen, with everything you may need. There is a free parking near our hostel, where guests can leave your car. We serve free breakfast to all of our guests. We provide laundry services, for extra price. There is a free internet connection in all territory of the Sodu Hostel. We provide free towels for our guests, and if you need an iron, ironing board or hairdryer, you can barrow it from the reception which works 24/7. Taxes not included there is a city tax of 1 euro per person per night.